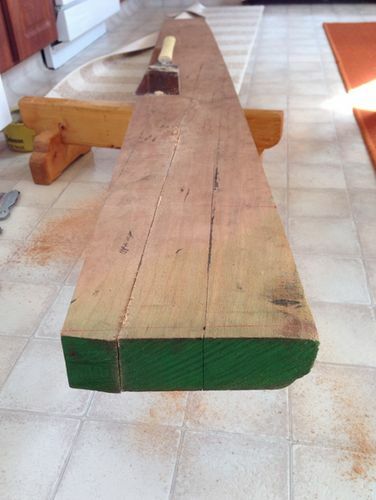 I had to spend a fair bit of time doing the layout as I wanted to try to get the most straight grained pieces while also being as efficient as possible with the 8/4” cherry plank. 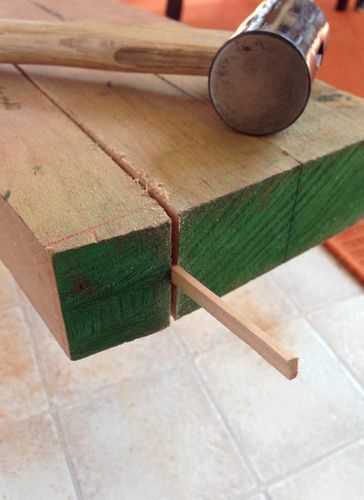 As a result all the cuts were at a skew to follow the grain. I think and hope this resulted in strong and dimensionally stable pieces. “Freeing” these pieces from their stable plank makes me nervous what tension I’ve released on these smaller pieces. Time will tell. 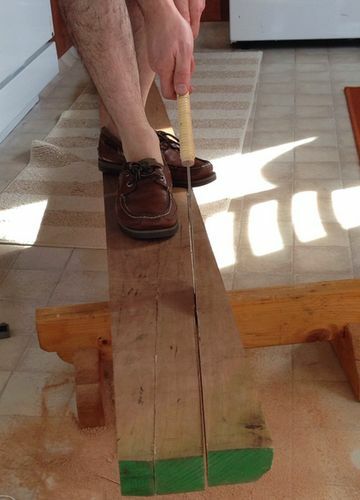 On the long cuts, I resorted to waxing my Ryoba but that helped for just a little. The best trick was to wedge open the cuts to minimize binding as I did the cuts. Sometimes I felt like this guy in this old Japanese drawing. With the help of a couple advils I had the pieces I was looking for. Next up will be some more design work, and some dimensioning with the hand planes. Using a knife line for cutting makes the cuts first class cut. Any time i need to have a finished looking cut I will knife my line. 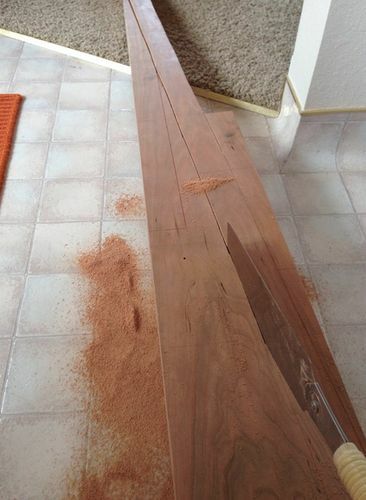 The longest rip I’ve done was 8’ in 8/4 oak, a great quantity of ibuprofen was consumed! 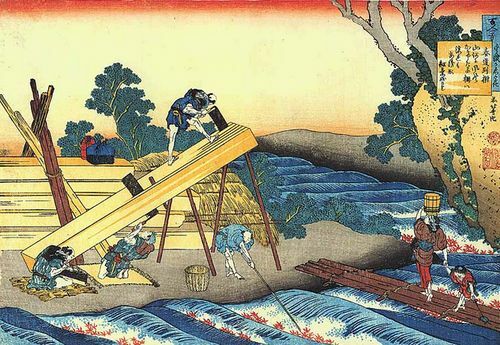 As for the Japanese pit saws, I watched two guys in colonial Williamsburg cutting 12×12x10’. The finished product looked damn close to perfect! I always thought it was cheating not to score the lines first :). Thanks folks. It was strangely satisfying to finish up the cuts although I’m glad I hopefully won’t need to do it again anytime soon. 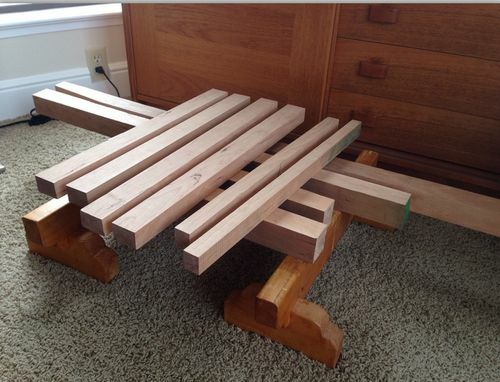 Looking forward to seeing this chair develop and I love the inspiration piece. nice trick with the shim. I have to try that one. -- jomarnavarro - You better watch your wood. Amazing job! Lots of work. I am in awe.